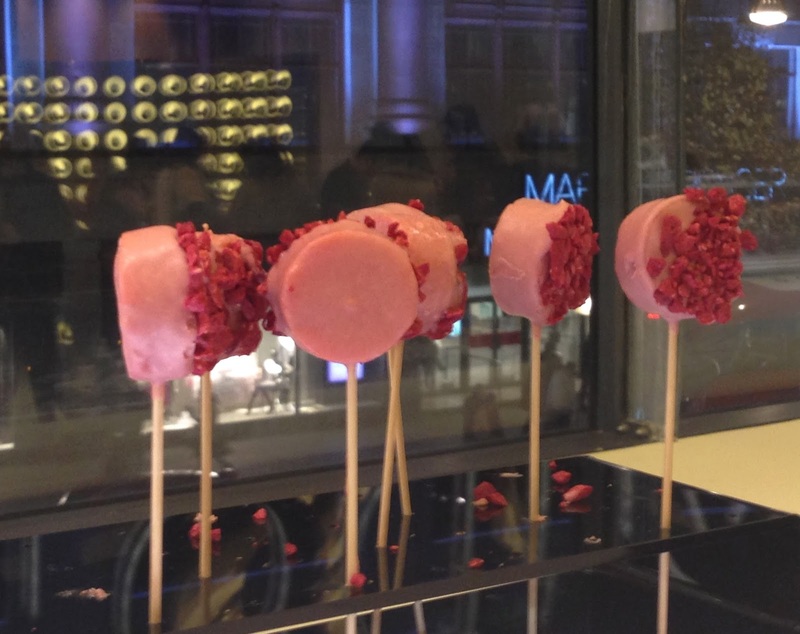 On Thursday night I attended the Company Magazine Readers Event at the PANDORA Marble Arch store, there were 50 tickets up for grabs and I managed to win a pair, happy days indeed. Company magazine are the best when it comes to involving their readers, not only are they such a lovely team, they host the best events. 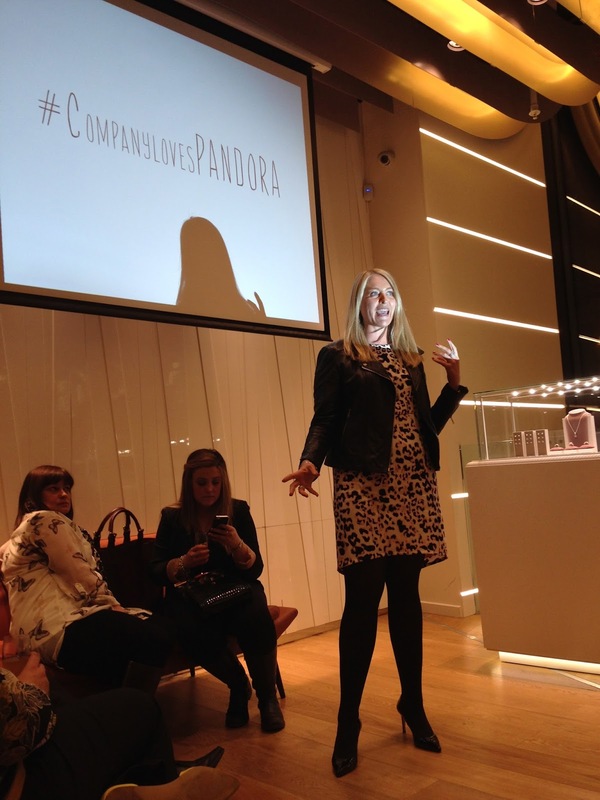 I attended the Christmas Party last year and that was a great night, so the PANDORA event was not to be missed. We were greeted upon arrival with a complimentary cocktail, we then had the opportunity to browse and purchase products - with Mother's Day fast approaching this was a must. Pandora were offering a free gift with purchases over £75, between me and my boss we managed to spend over that amount, so I picked a drawer from the jewellery tower and won a silver charm bracelet. Amazing. These pop cakes were the best thing i've ever eaten.. YUM. 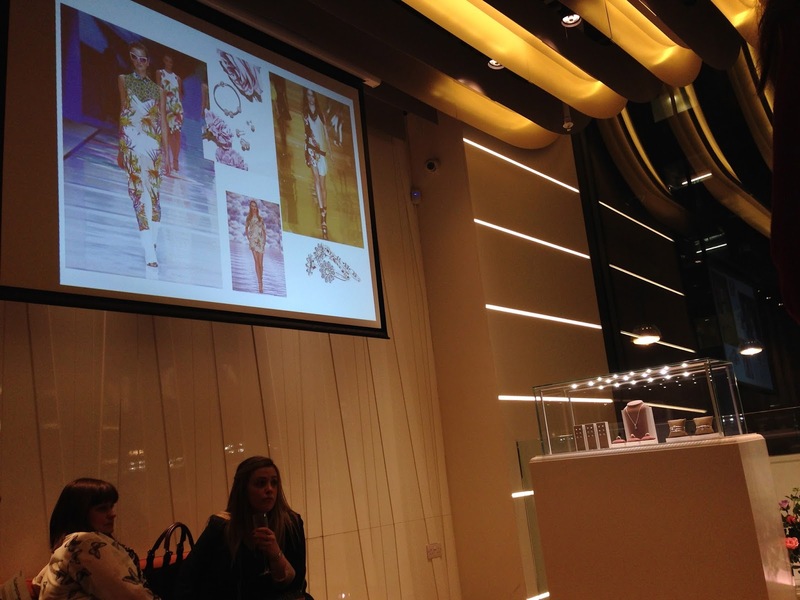 Company Magazine's very own Fashion Features writer Alexxsia treated us to a fab talk and informed us of all the hot SS14 trends, from all white to pastels, florals and tribal. 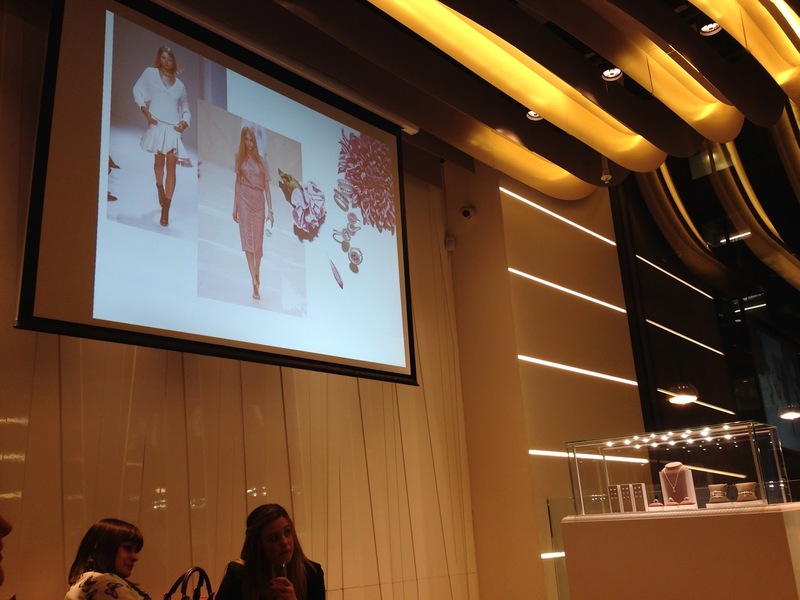 She gave us some top tips on how to accessorise with the fab PANDORA collections. Bravo. Jessica nails were on hand to make everyone's nails look beautiful. Jessica for a person called Jessica, they must have known I was coming!?! I chose the colour called Conch Shell which seemed to be very popular amongst everyone, to me it screams summer. Everyone loves summer. Anyone love their new daisy range as much as me!? SO pretty. Goodie bag? These were on a new level, I must have had a lucky streak on Thursday as I got the most incredible diamante heart charm, a perfect combo with the bracelet I won. Company mag, duh. Mini make-up bag or sunglasses case!? A body smoothie and an oyster card holder, all of which will most definitely come in handy. Tanning mit.. well my new years resolution the year before last was to embrace my paleness *sob* and haven't used fake tan since, however I'm sure one of my sun kissed friends will love this. Chocolate, perfect for a chocoholic. Sleek Makeup Lip Matte Lip Cream, okay I'm not even exaggerating this is the best EVER, you put it on your lips, can't even feel it, it stays on all night and the best part is it doesn't smudge like lipstick. Winning. Photo credit to Company's Lena - who shared this on their twitter. Pretty cool. A big thank you to Pandora & Company Magazine for the tickets. Such an enjoyable evening. If this is your cup of tea, keep an eye out on twitter for any future events.